BHM welcomes industry giant Impact Sales to our family of satisfied customers. 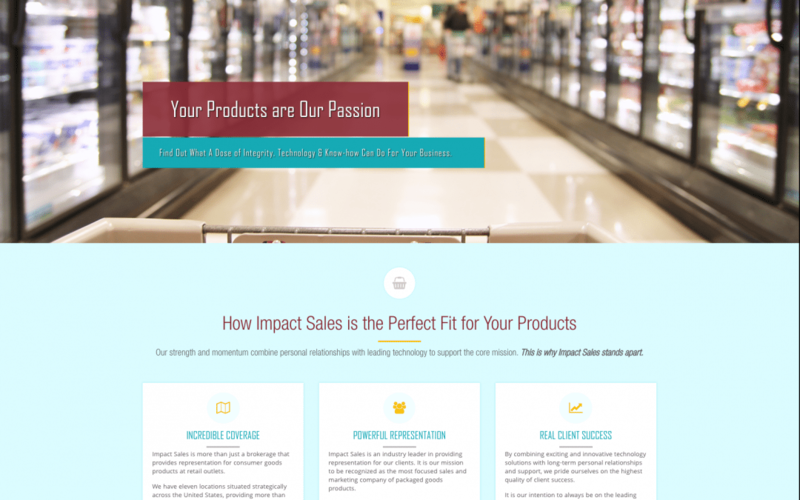 Impact Sales is more than just a brokerage that provides representation for consumer goods products at retail outlets. They have eleven locations situated strategically across the United States, providing more than 500 customers with over 14,000 products. In 2008, Impact Sales pushed nearly a billion dollars in goods.